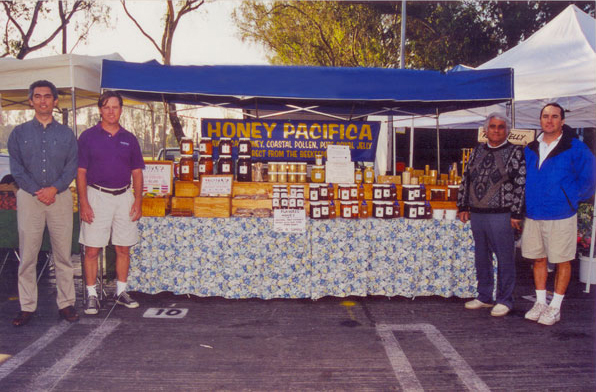 Since 1978 Honey Pacifica has worked in the raw honey business giving us the knowledge to get you the highest quality raw honey available. In order to preserve the delicate flavors of the raw honey we make each flavor ourselves. 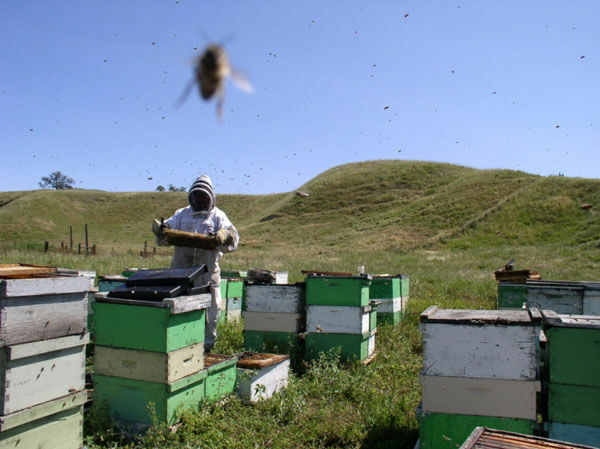 We drive our bees to various bee sites (aka: apiaries) located throughout sunny Southern California. The bees will fly for miles finding the blooms and bringing the nectar back to the hive. The flavor of the honey depends on the nectar blooming at that particular time. 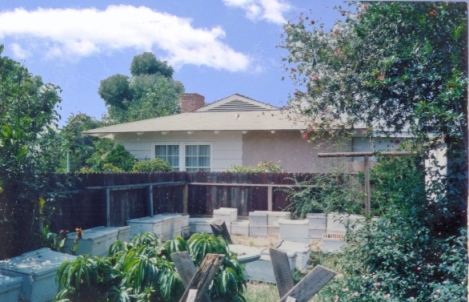 When the hives are full of honey, we truck them back to the Honey Pacifica warehouse in Downey, CA. There, we run the frames through an extracting machine which slices all the honey filled wax off the frames, which then flows into the barrels. After the wax and other raw particles float to the top, we skim them off. What is left is raw, unheated, unfiltered honey. Honey Pacifica was originally began by Nick Poto, when a friend offered him a swarm. He and his sons Frank and John put in their backyard for a fun experiment. 25 years later, and we're still making honey. Nick continues to own Honey Pacifica while John manages and Frank handles accounts. All work is done by the help of friends and family in Downey, CA. 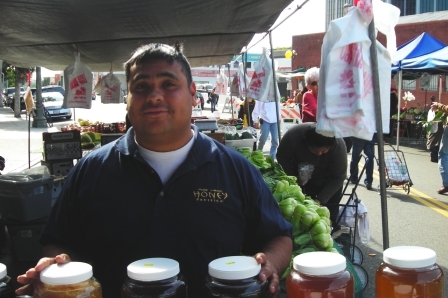 We sell directly to our customers at various Farmers' Markets throughout Southern California and hundreds of stores throughout California and Nevada. Check our Where to Buy Page for all the locations or shop online and have our honey delivered direct to you! 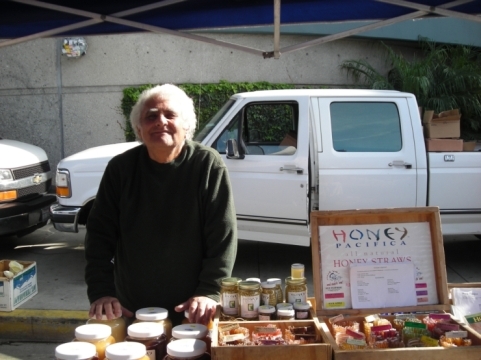 Meet The Honey Pacifica Family At The Farmers Market.